Children with hearing problems could soon be using computer games to help treat their condition. The role of computers will be explored as part of a £12m research programme to improve hearing ability in both children and adults. The Medical Research Council (MRC) project will focus on youngsters who have hearing problems but where tests find nothing wrong. 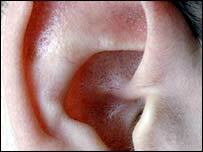 It will also target adults with age-related deafness. Research has found that some youngsters have problems hearing in the classroom and other noisy places, however, when given an auditory test there is no sign of deafness. Experts refer to it as an auditory processing disorder (APD) or "brain hearing" problem which means they hear sounds correctly, but their brain has difficulty distinguishing and making sense of them. ADP is usually associated with attention deficit disorder and children with the condition often fall behind in their studies. The extent of the condition is unknown but it is thought that children who have dyslexia and other language problems could also be suffering from APD. The team at the MRC's Institute of Hearing Research in Nottingham is breaking new ground by using computer games. They already know that repetition is the key to improving brain processing skills and are designing computer games to exploit this. Director of the MRC's Institute of Hearing Research Professor David Moore said: "There isn't a treatment at the moment for APD, although Ritalin is used in some countries. "What we are doing is approaching the problem scientifically. "We are looking at developing an alternative to drug treatment. "My long-term goal is to produce treatments that will be effective in alleviating brain hearing problems and improve the quality of life for the young and the elderly." The Royal National Institute for the Deaf (RNID) believes the project could lead to a breakthrough in the understanding and treatment of this condition. RNID senior audiologist specialist Angela King said: "The RNID welcomes the fact that the Medical Research Council now plans to focus attention on discovering more about this condition and devise practical ways to help. "If your child finds it difficult to hear and follow what you say but you are told that there is nothing wrong with their ears, you are left not knowing what can be done to help them and you may also worry about how this will affect their school life and development." The auditory brain study will develop computer games to improve hearing in adults with surgical and cochlear implants. It will focus on teaching people how to improve their lip reading skills and how to distinguish and differentiate between sounds. Scientists already have computer game prototypes. They are now looking for industry experts to transform them into products that will be more entertaining and fun.